Ask a curly girl about her hair and she’ll tell you about her life. She’ll tell you about her childhood, her family, her friends, and the way she sees herself in the mirror. She'll also tell you a few curly haired girls tales of woe! It's not easy to keep curly hair looking full of bounce & definition. This type of hair tends to be dry and quickly gets frizzy with even the slightest humidity. Enter DevaCurl. Curls bounce, shine, and behave with DevaCurl No-Poo and DevaCurl One Condition. 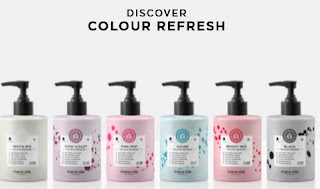 Depart from the ordinary with their botanically drenched, 100% sulfate free hair care system. Deva removed the harsh, dehydrating detergents that create lather and infused natural cleansing ingredients. Just as with any other brand, DevaCurl has cleansing, conditioning and styling products. The difference is all of their products are specifically made for curls. Their gels help define and shine, their conditioners deeply moisturize and their sprays create flexible, frizz free hold. position at the crown, keeps curls frizz free. 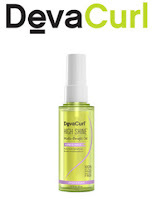 Deva Curl began in 1994 as Devachan Salon in New York City. They developed and trained their staff to understand the special needs of curly hair (it's not easy to keep those curls tamed). In 2002, Devachan launched their No-Poo cleanser, the first suds-free cleanser on the market. 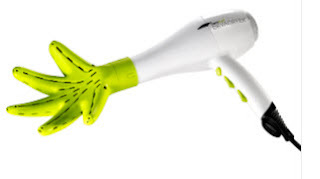 By 2006, they had expanded to include other products made especially to care for curly hair, including their signature DevaFuser hair dryer. If you’ve had the same hair brush kicking around since college—and you gave about as much thought to picking it out as you did selecting toilet paper—you’re probably not doing your hair any favors. Not only is your hair nearly as unique as your fingerprints, but it changes as you age, which means one brush definitely does not fit all. The right combination of bristles, barrels, and brush shapes can unlock the best hair of your life. The right brush can be the tool you've been missing to achieve gorgeous hair that moves and grows with you. Here’s how to choose the best for your hair, plus how to boost its styling and staying powers. Selecting the right combination that works for your style generally isn't a "one size fits all" answer. That's why most women have at least three different brushes. Paddle brushes (sometimes called flat brushes) are meant to create a straight look that works on both long hair and straight-styled bobs. They’re usually made of nylon bristles and are used to dry larger areas to a flat, smooth finish. Achieve the smooth look: Hold in the more comfortable hand with the bristles up and direct the hair dryer pointing down the hair to smooth the cuticle and dry on a downward direction. It should be used only to dry from the nape to the crown, and then the sides to the top from roots to ends. Grab a round brush for the front of your hair to shape the pieces that frame your face. Best for: Adding serious height and supporting up-dos. Round brushes are made to give you body and movement wherever you need it—be it volume at the root, a bend in the middle of the hair, or a nice natural curl at the bottom. The size of the barrel will dictate how much curl or volume can be achieved. If you have short hair or bangs, choose a smaller brush for those areas. The bigger the brush, the straighter the look you’ll achieve. The high temp from your blow-dryer will heat up the barrel, effectively turning your brush into a curling iron. Use a round brush to create volume: hook the brush under a 2-inch section of hair at the root, and lift as you roll it through to the ends—all the while following the brush with the dryer. Keep the nozzle above your brush and pointed down to increase shine. For the perfect blowout curl: grip the brush and run through the hair from the middle to the end, turning the hair in the direction of your face and follow with the blow dryer. Then, take the blow-dryer away from the hair and let it "cool" on the brush to set the curl. Gently pull the brush out of the hair and resist pulling at it with your fingers. Spray and allow to set before finishing. Teasing brushes are usually thin with rigid nylon or plastic bristles. Use one on the root area in a gentle back-brushing motion to add volume that'll last through the night. Smooth over the top layer for a sweeping updo or a professional half-up style. And the pointed end? Great for separating sections and creating exact parts. However, we don’t recommend using this brush if you have fine or fragile hair. Ceramic is the most popular barrel material. Much like ceramic cookware, ceramic barrels maintain a gentle, healthy level of heat to aid in the drying process. Most ceramic brushes have holes through the barrel to allow both sides of the hair to dry, so you get a speedy and consistent blowout every time. Sometimes called ion brushes, tourmaline barrel brushes are made from crushed gemstones that release negative ions. These ions help smooth hair and reduce static electricity—great for winter months. For the best blowout, experts are in agreement: Use ceramic and tourmaline combo brushes. Titanium brushes coated with ceramic provide similar benefits to a ceramic brushes, but are slightly more lightweight. A “thermal” brush means it aims to regulate the heat to protect hair, much like ceramic. Vented flat brushes are good for smoothing while you detangle, and vented round brushes have holes to distribute the heat for consistency throughout your blowout. 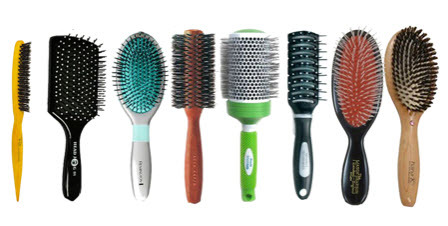 Your choice of brush always depends on your hair type. Most hair types will benefit from a mixed bristle brush—half nylon, half boar. 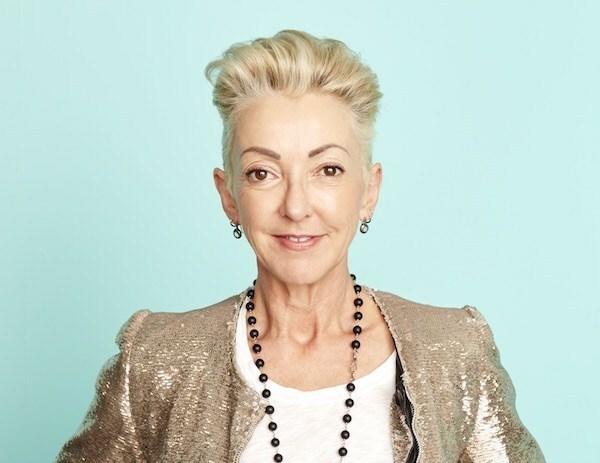 But here’s the tricky part: The color and texture of your hair changes with age. 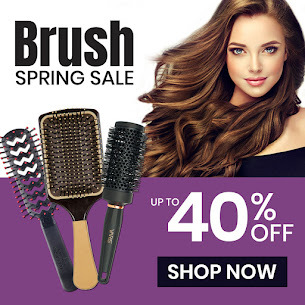 If your hair has become thin or dry, we suggest a natural bristle brush. A natural bristle brush will help redistribute sebum from the scalp which, in turn, moisturizes the lengths of the hair. 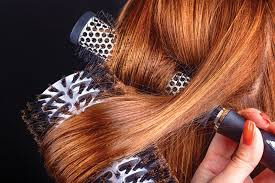 These bristles also work to stimulate the scalp, which promote healthy hair growth. True boar bristle brushes are made from 100% natural (humanely cultivated) wild boar hair. They should be tightly packed together and feel stiff, but with some flexibility. These bristles distribute oils evenly throughout strands and are great for achieving a smooth, shiny blowout. The downside? They come at a bit of a price compared to synthetic bristles. If you have thick, course hair that requires tug to achieve fullness, boar bristle brushes are worth the investment. They make styling easier and promote shine and smoothness—benefits almost everyone wants. If you have fine hair and own one of these brushes, your investment isn’t lost; boar bristles can add volume to fine and normal hair types—as long as your brush has a nice natural give. Nylon bristles are less expensive than boar brushes, but still effective. The bristles are usually spaced farther apart than boar and achieve a medium to strong grip on all hair types, especially those with medium density or finer strands, says Arrojo. The better the grip, the smoother and straighter your style will be. If brushes tend to get stuck in your hair mid-twirl or you suffer from serious static issues, try a brush that combines nylon and boar bristles. Plastic and synthetic bristles are your general, all-purpose brushes. The bristles are incredibly strong, made for working through larger areas of medium to thick hair. These are a “first step” kind of brush; best for detangling and preliminary blow-drying. When you’ve removed most of the excess water, switch to a round boar or nylon brush for styling, smoothing, and adding shine. Remove hair from the bristles with your fingers, or use scissors to cut out larger clumps. Clean your brush about every two weeks: Fill a small bowl with warm water and shampoo, swish the brushes around, rinse thoroughly, and then lay flat, bristle side down, to dry or wipe with a paper towel. Replace your brush when the bristles are fraying. A good quality brush should last about three years, maybe longer, if it is well-maintained. Henna has been used throughout Africa, India and the Middle East for thousands of years. It is a useful dye that has historically been used to dye hair and fabrics. Most people will associate henna with tattoos, however, which is only fair given that henna tattoos are very popular across the world and particularly so in Indian and Chinese culture. Getting a temporary tattoo might seem like a fun way to remember an experience, however just because the tattoo is temporary does not mean that it isn’t going to be harmful. 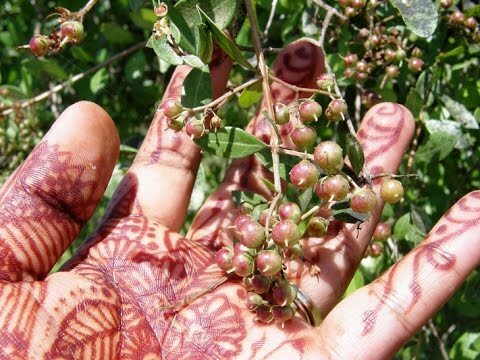 Henna for body decorations is made by drying the leaves of a henna plant and crushing them into a fine powder. Water and a little oil is then added to make it into a paste. The paste is applied to the body and it stains the top layer of the skin. The average person will have their temporary tattoo for one to three weeks, or sometimes up to a month. Because henna typically produces a brown, orange-brown, or reddish-brown tint, other ingredients must be added to produce other colors, such as those marketed as "black henna" and "blue henna." Even brown shades of products marketed as henna may contain other ingredients intended to make them darker or make the stain last longer on the skin. It is very important, therefore, to make sure ALL of the ingredients in the product being applied are safe. Black henna is dangerous and you will put yourself at immense risk should you choose to have one on your body. The main ingredient of black henna, paraphenylenediamine, is a chemical which can poison the skin and cause a severe allergic reaction. In the United States, Henna is approved by the FDA only for use as a hair dye. It is not approved for direct application to the skin, as in the body-decorating process known as mehndi. This unapproved use of a color additive makes these products adulterated. It is unlawful, for example, to introduce an adulterated cosmetic into interstate commerce. Are you one of those people who carefully apply your make-up in the morning, only to have it look like you didn't by noon? Ever wondered what the secret some woman seem to have that keeps their make-up looking flawless all day? There is a makeup product out there that can help keep your foundation, concealer, eye shadow, and whatever else you have on in place. All. Day. Long. Want to know what that product is? If you guessed makeup primer, you’re close, but not quite. The answer is makeup setting spray. Never used a makeup setting spray before? Once you learn what makeup setting spray is, it is going to be a must have! It’s always so disheartening to see all of you hard work fade away well before lunchtime, which is why you might want to consider adding a makeup setting spray into your beauty routine. If you’ve never heard of makeup setting spray before, think of it like a top coat for your makeup. We know it’s never easy to keep your makeup looking fresh all day long, but makeup setting sprays can help keep the need for midday touchups to a minimum. These powerful products usually come in the form of a spray or mist. The whole purpose of using a makeup setting spray is to help prevent your makeup (foundation, lipstick, eye shadow, and more) from smudging, creasing, or fading quickly. CHOOSE THE RIGHT SPRAY FOR YOUR SKIN TYPE. Just like all facial products, different products work best on different skin types. If you have very dry skin, you may want to avoid products with alcohol in them, which can dry out your skin even more. Instead, find alcohol-free setting sprays that have moisturizing and hydrating properties. If you have naturally oily skin, look for an oil-free setting spray that provides a matte finish. Makeup setting spray should be the finishing touch to your beauty routine each morning. After you’ve fully applied your foundation, mascara, and lipstick, shake the bottle, hold it 8-10 inches from your face, and spray it on in an “X” and “T” motion. Just make sure to avoid spraying it in your eyes! Your bathroom is the most likely place that you keep the majority of your skin care products. It's logical. So, why shouldn’t you keep your products in your hot, steamy bathroom? Unfortunately, this isn’t the optimal place to keep them for a variety of reasons. Think about all that goes on in your bathroom, even the cleanest still has bacteria. The steam from your shower actually makes it worse, making your bathroom an oasis for this bacteria to multiply and grow…probably not what you want all over your face. Where should your skin care products be stored? The Refrigerator! Vitamin C and retinoids are heat and light sensitive, meaning they break down and oxidize faster if stored in places with lots of light or heat. This is why most vitamin C and retinoid serums are packaged into dark bottles. To ensure longer product life, these should definitely be stored in the fridge. It won’t just make them last longer, but it’ll keep them effective for longer, and without a weird smell. Anything that has live-active cultures should definitely go in the fridge. And, if you bought it in a store, it probably was already stored in a fridge (this is a good indication, that’s where it should stay). Skin care that is probiotic or with “live cultures,” have bacteria living in them—helpful bacteria, not steamy bathroom bacteria. To keep this “good” bacteria healthy, you need to keep it in its optimal ecosystem. Hence, the fridge. Similarly, anything with 100% natural ingredients or natural or organic ingredients as the first ingredient should probably be kept in the fridge. Chances are, if you bought this product, it will still have some preservatives, but likely less and therefore a shorter shelf life. So it’s better to keep this in the fridge to help it last as long as you can. Water based toners, mists, and sheet masks don’t have to be stored in the fridge, but if you’re keeping your other skin care in there, then why not. The cooling effect of these products can feel great on the skin. It can also help with de-puffing and soothing irritation. 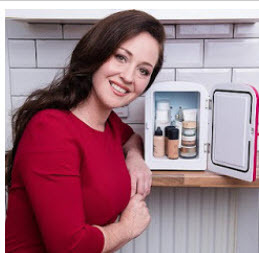 Not just skin care needs to go into the fridge. Nail polishes are better stored in the fridge because they are more likely to separate if they’re stored out in the open. Perfumes can lose or change smell if they’re left out in the open, due to molecule break down. And lipsticks will straight up melt if they’re left out in the heat. Ever left a lipstick in a car on a summer day? Yup, you know what we’re talking about. If you’re storing products in the fridge, make sure that they’re sealed properly and if possible, keep them away from food. The last thing you want is that refrigerator smell getting into your products. You also want to make sure you’re protecting your products from excess moisture. If you’re not going out and buying a cosmetics fridge just for your skin care (cosmetic fridges are better at regulating temperature since they’re small, and have no food), consider keeping your skin care in sealed plastic bags. Which products should be stored at room temperature? Cooler doesn’t always mean better in skin care. Oil-based products like serums can become cloudy when they’re stored in the fridge. They can also cause the oil and water ingredients in the product to separate, rendering them useless. Also probably better to keep your clay masks out of the fridge, unless you want to start digging through them with a baby shovel. No product should be stored in direct sunlight. And it’s always better to keep them in cool dry places. Not only that, you also probably don’t want extreme heat or cold for any of your products (not all fridges are created equal). You definitely don’t want to be putting your products in the freezer, and likewise, they shouldn’t be sitting right next to your heater in the dead of winter. This can cause active ingredients to break down. When in doubt, most products are tested by cosmetic manufacturers according to specific climate regulations by the World Health Organization and so products bought locally should last well enough at room temperature. Heat rises, so if you do insist on keeping your skin care in your bathroom, a low drawer or under your sink (if it’s dry down there), is better than on the top shelf of your cabinet where more heat will get to. We’re not advocating going out right now and buying a cosmetics fridge (though it’s not the worst idea - most cost less than $50). But when you’re paying hard earned dollars for your skin care, you want it to last as long as possible. Two New Brands and Two New Products! People are more aware of chemicals today than ever before. There are many reasons consumers are asking about ingredients, from sensitive skin to allergies to prevention. 30% of people experience some sort of allergic reaction to specific ingredients which can include itching, burning sensations, flaky scalp, eye irritations, breathing problems, headaches, asthma attacks or seizures. No Nothing is a line of hair products that irritate no one. As the name implies, the products are free of fragrance, parabens, colorants, soy and gluten. They are hypoallergenic and cruelty-free. They are safe for cleansing, conditioning and styling the entire family, especially those who have sensitive skin or have developed fragrance hypersensitivity. Prime your skin for a luminous complexion with the Retinol Instant Radiance Booster. A booster that is made with vitamin A and peptides to brighten and even out skin tone. It gently exfoliates the skin for skin texture improvement. With names like Mixed Greens Moisture Shampoo, Lemongrass Volume Conditioner & Pomegranate Glossing Pomade, you can be sure MOP products are organic. They are infused with the citrus benefits of Vitamin C and provide complete antioxidants for your hair. SpaRitual's Nourishing Vegan Color 1-step formula features Red Tea & Seaweed Extract to help moisturize and revitalize nails. Adhesion promoters & shine additives eliminate the need for basecoat and topcoat. Red Tea, Seaweed Extract, & Argan Oil help nourish & strengthen while leaving nails looking bright and healthy. Select from 27 new colors! Tip: when you get to the page, Click on "New" in the "sort" Section. 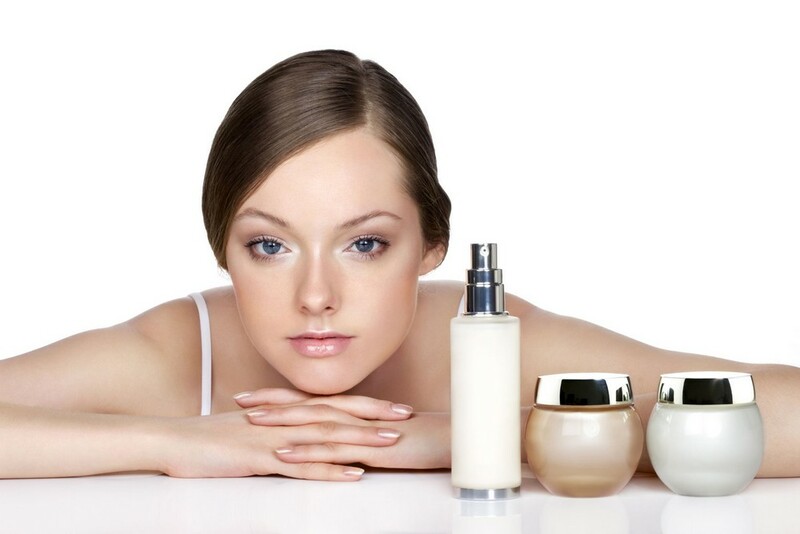 Dibutyl Phthalate (DBP), Toluene, Formaldehyde, Formaldehyde Resin, Camphor, Triphenyl Phosphate, Hydroquinone Monomethyl Ether (MEHQ) / Hydroquinone (HQ), Gluten, Parabens, Ethyl Tosylamide, Xylene, Methylisothiazolinone (MIT), and Animal-Derived Ingredients. Dermalogica is the professional pioneer in skin care favored by estheticians. Dermalogica uses only premium ingredients to formulate the right product for every skin requirement. They are recognized cruelty-free by PETA (People for the Ethical Treatment of Animals) and Leaping Bunny. They have been clean since 1986. Their formulas are free of artificial colors and fragrances, mineral oil, lanolin, S.D. alcohol, parabens and microplastics. They are certified vegan on all but 4 of their products. By the end of 2020, 90% of their packaging will be recyclable or bio-degradable. Going forward, all paper and cartons they use are FSC certified to be sustainable for forests. Their formulas are all manufactured in California, which boasts some of the world’s strongest environmental and consumer protections. AGE Smart. Product focus on biochemical changes in aging skin so solutions are not just surface deep. A consistently 5-star rated product MultiVitamin Thermafoliant is a powerful skin polisher that combines physical and chemical exfoliants and enhances penetration of age-fighting vitamins into skin. Uneven skin tone can make you look old and tired. Fix it with ChromaWhite TRx Products . Hyperpigmentation will diminish, giving your face a more youthful appearance. Clear Start. Created by the skin health experts at Dermalogica, Clear Start™ is a system of powerful, technology-driven formulas that deliver fast-acting, multitasking results for breakout-prone skin. Formulated without artificial fragrances or colors, Clear Start™ combines the best of science with nature to fight breakouts without stripping the skin. Every product contains active breakout-fighting ingredients and soothing natural botanicals that keep skin clear, hydrated and balanced. MediBac Clearing. Clearer skin starts now: bring the four contributing factors of acne under control.The MediBac Clearing® system works to treat, clear and prevent adult acne while addressing the needs of adult skin. Most products and treatments for acne are designed for teenage skin, making them too harsh and irritating for adult acne sufferers. MediBac Clearing® controls acne without compromising skin’s integrity, which means skin is clearer and healthier. How it works: Dermalogica’s MediBac Clearing® system is formulated specifically to treat adult acne. Each product, with its unique acne-fighting and clearing ingredients, is designed to be layered upon the skin to provide around-the-clock, maximum control of the main factors that contribute to acne. PowerBright TRx. Banish brown spots, discoloration and uneven skin tone for your brightest skin ever. A powerful, concise range of three leave-on treatment products for the treatment and prevention of hyperpigmentation, PowerBright TRx™ is the product of several years of research on melanin biosynthesis and skin brightening by the skin health experts at Dermalogica and The International Dermal Institute. Designed to be layered onto the skin for optimum efficacy and integrated into any existing Dermalogica regimen, these silky-smooth, peptide-rich formulas work around the clock for the brightest, most even skin tone. UltraCalming. Treat the multiple triggers behind inflammation for lasting relief from sensitivity flare-ups. . Itching, burning, stinging and redness are the obvious signs of sensitive skin. The triggers behind these sensations are less clear: genetics, hormones, stress, chemical assaults, foods and even aggressive skin treatments can intensify skin’s highly reactive state. The common thread behind irritation, flushing and stinging is inflammation. When paired with the loss of skin’s protective barrier, skin health is compromised and becomes highly reactive. 5 hair products every woman should have in her style arsenal. There are many styling options out there – for control, hold, shine, softness, and much more. But choosing the wrong one for your desired result can cause negative side effects. For example, if you use heat on your hair from a blow dryer and/or heated tools but your styling product doesn’t contain a heat protectant, you will cause serious damage to your locks. If you spend a lot of time outdoors, your styling products should contain a UV protectant. Whether you have super-fine hair or a thicker mane, thickening products create more consistency throughout. Thickening spray works best for medium to thick hair types—not necessarily to give the illusion of thicker hair, but for hold Spray sparingly for lighter hold. For women with finer hair, you need more of a foundation to hold the style longer, which is why mousse works great. Crémes are the modern-day gel because they work well on all hair types and provide moisture. Use with a round brush to help polish the ends. When used with a blow dryer, these products expand, creating nice volume and density. If air dried into the hair, they’re great for frizz reduction and help to hold in natural waves. When choosing a formula, do pay attention to hair texture. For fine, straight hair, use a lightweight créme with a little bit of hold. Every woman definitely needs a medium hold, flexible hairspray in their arsenal. These sprays can be finishers or thermal protectors before using a curling iron. This is one of the newest kinds of products on the market and every woman, regardless of her hair type, invest in one. The category includes all of the following: dry shampoo, dry conditioner, salt spray, and texturizing spray. These are great for absorbing oil on the scalp on second-day dirty hair. They are also great for texture throughout the midshaft and ends. Salt and texture sprays can also be used on wet hair and are great to build both volume and resistance to dropping. Add to the roots before a blowout to extend its lifespan. Let's face it: we're pretty attached to our heated styling tools. Did you know heat applications on hair can reach up to 446°F? Ouch. Heat and friction can quickly turn vibrant hair into dry, damaged hair that feels frazzled. Enter: heat protectant spray, designed to help protect against damage from harsh temperatures so you can use your favorite style tools with more confidence. Remember too - you don't have to use the highest heat setting; in fact, you should always use the lowest setting that works on your hair to achieve the look you want. Licorice Root Extract is the Natural Option for Delicate Skin. Have you been longing to get rid of those brown spots on your skin that had been embarrassing you for so long? Is that really possible? Just imagine how happy you would be if you could lighten your skin using an all-natural solution! 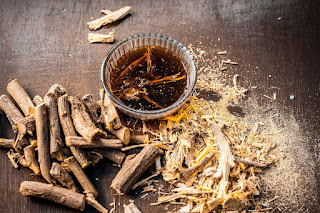 Licorice root extract is ‘the wonder herb’. Licorice root contains around 2-9% glycyrrhizin. Clinical trials have shown that glycyrrhizin, when applied topically, mimics cortisol, meaning that it has a soothing effect on acne-prone skin + redness-reducing effect on sensitive skin. Licorice contains another potent natural anti-inflammatory agent – licochalcone. The presence of these bio-actives, makes licorice root extract especially beneficial for those who struggle with psoriasis, rosacea and dermatitis. It also regulates the production of oil in your skin, which is extremely beneficial for acne-prone skin types. 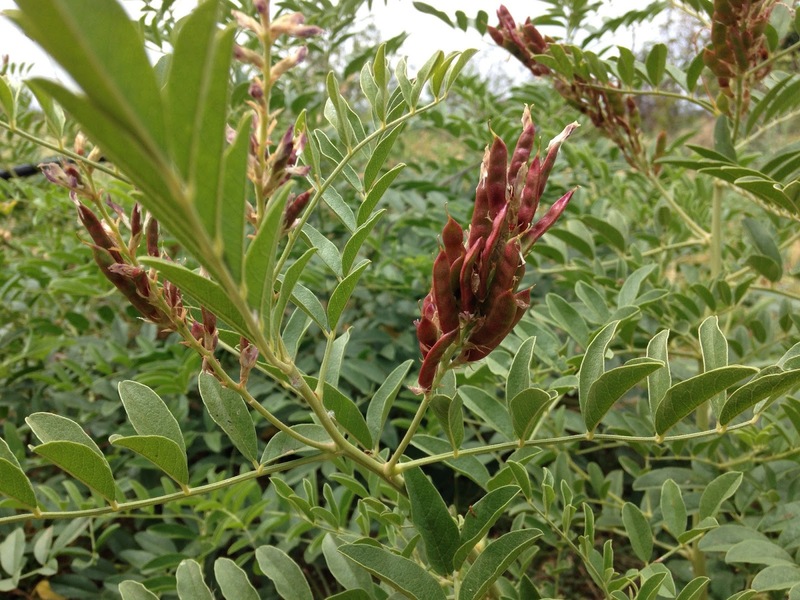 Thanks to the high levels of glabridin licorice is an excellent natural skin brightener. Being a phytoestrogen, glabridin serves to prevent hyper pigmentation and dark spots caused by UV radiation. Consequently, products containing glycyrrhiza glare extract are effective, all-natural alternatives to chemical skin lightening agents. They gradually brighten the complexion, to reveal more glowing, clear skin, free of imperfections. It’s easy for your skin to get red and inflamed. It could happen if you test too many skin care products at once (guilty). It could also happen if you just have really sensitive skin and a new skin care product has irritated it. Or it could be happening right now because it’s winter and this season has no chill when it comes to icy cold winds blasting your cheeks. Either way, skin redness can be quite confusing to know how to get rid of it. The first thing you need to do is figure out exactly why your skin is red. Certain lifestyle habits, like stress, diet, and water intake, in addition to dehydrating indoor heating and cold and windy weather can all cause facial redness. Acne: If you’re red because of acne, you should work with a dermatologist to develop a treatment plan that’s appropriate for your type of acne. Contact dermatitis: This is temporary irritation that’s usually caused by a new skin care product that your skin doesn’t react to the right way. If you have sensitive skin, do a spot test to determine if you will become irritated by something new. If you have an allergic reaction to something and it is not dramatic, try some hydrocortisone cream and apply a cold compress. Eczema: It’s hard to know if you have eczema, but a dermatologist can help. Mild eczema can easily be treated by changing some of your daily habits, but more severe eczema may need a prescription. Either way, it’s best to use mild soaps that won’t dry out your skin, and make sure you don’t take long hot showers. This is true for everyone; hot water dries out your skin. Over exfoliation: The first thing to remember is that you should never be exfoliating every day. Dermatologists generally prefer chemical exfoliators to physical exfoliators. Also, don’t use several products that exfoliate in your regime–stick to one. Rosacea: Rosacea is chronic redness and it’s probably one of the most common reasons for tomato-colored skin. There is no cure for rosacea, but the redness can be decreased by creams and serums. You want to make sure to use the appropriate skin cleansers and moisturizers to hydrate and calm it. Stick to hydrating cleansers that won’t disrupt the skin barrier. Look for cleansers that contain ingredients like hyaluronic acid to improve hydration, as well as ceramides to help repair the outer skin layer. Hyaluronic acid is a super hydrating ingredient found in a bunch of products, and adding moisture to your inflamed skin will help it heal faster. Ceramides are a natural oily wax that already exist in your skin that help your skin keep water in and regulate cells. They can also help retain your natural skin barrier, which is super important when you’re dealing with redness. Other calming ingredients to look for in your skin care - especially your cleanser and moisturizer. 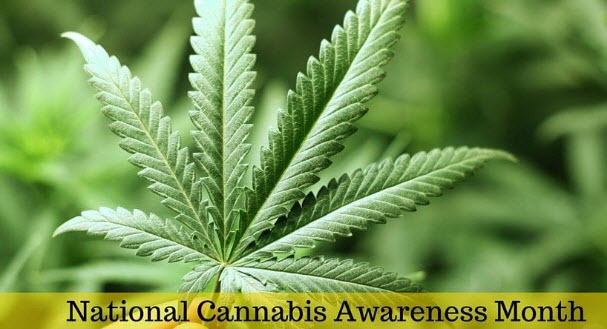 National Cannabis Awareness Month is observed annually in April. The cannabis plant has been a constant companion of the human race for more than 10,000 years. With its rich history of medicinal, spiritual and practical usage, cannabis is an incredibly complex botanical compound that provides for boundless, revolutionary and humanitarian opportunities. 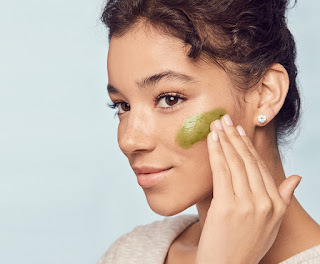 Among beauty products, CBD has already achieved cliché status, popping up in blemish creams, sleeping masks, shampoos, hair conditioners, eye serums, anti-acne lotions, mascaras, massage oils, soaps, lip balms, bath bombs, anti-wrinkle serums and muscle rubs. Why? Studies have shown that CBD can potentially be helpful for fighting acne and may even give your skin a more youthful appearance, thanks to its inflammation-fighting prowess. And here’s yet another anecdotal way cannabis is becoming a BFF for holistic types: It can potentially help relieve pain. There are hundreds different stories of people with tennis elbow, a shoulder injury, or some sort of pain, and they use a CBD lotion and 10 minutes later they don’t feel it anymore. A massage with a CBD based oil can be heavenly. Cannabidiol, more commonly known as CBD, is one of the 110+ cannabinoids. Cannabinoids are the natural compounds found in cannabis that are responsible for the myriad of effects that cannabis provides to users. Both hemp CBD and cannabis CBD come from the same mother cannabis plant, the Cannabis Sativa L. The plant helps create brother hemp plants and sister marijuana plants. The brother hemp plant produces hemp CBD, which has no buds and therefore primarily consists of CBD, with less than 0.3% THC. Products that have less than 0.3% THC are legal everywhere in the United States and can be found at various health-focused stores. Because they have such low amounts of THC, they can be presented as having zero THC. Anyone 18 years and older can purchase these products. There is also industrial hemp, which comes from cannabis ruderalis, which is another form of the plant in addition to the Sativa and Indica. Industrial hemp can be found in clothing, shoes, paper, rope and lotions. CBD, an abbreviation for Cannabidiol, is a natural chemical compound known as a cannabinoid found in the both the hemp and marijuana plants and is highly regarded for its anti-inflammatory and anti-anxiety healing properties. It does not get you high. Studies are very limited regarding all of the potential benefits of CBD, however, research is expanding rapidly as more and more states legalize its use. Thanks to new discoveries surrounding cannabidiol (CBD), a non-psychoactive compound found in cannabis and hemp, those suffering from certain forms of epilepsy have seen dramatic drops in seizures without the side effects that often came with pharmaceutical drugs. Epidiolex, a marijuana-derived CBD drug, was even approved by the Drug Enforcement and Food and Drug administration earlier this year, while over forty states in the country have explicitly approved CBD for medical use. Cannabis plants are chemical factories that produce cannabinoids, which can mimic neurotransmitters in the brain. CBD promotes health and wellness through its different properties: anti-inflammatory, anti-anxiety, analgesic and more. CBD also acts as a powerful antioxidant by lending electrons to free radicals. Free radical damage, sometimes referred to as oxidative stress, links to cancer, heart disease, Alzheimer’s Disease and more. 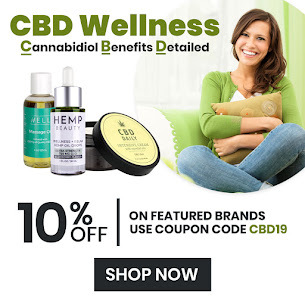 CBD’s beneficial properties may alleviate symptoms of severe to mild pain, anxiety and depression, arthritis, insomnia and other health conditions. By interacting with your Endocannabinoid System, CBD potentially reduces pain and inflammation, decreases stress and anxiety, enhances mood, encourages sleep, boosts the immune system and improves digestion. What is our body's Endocannabinoid System? Without the Endocannabinoid System, also known as the ECS, CBD would not be able to benefit you. This network of cannabinoid receptors (CB1 and CB2) and molecules is located throughout your brain and central and peripheral nervous systems – even extending to the skin. The ECS maintains homeostasis and regulates pain, mood, memory and sleep with the help of endocannabinoids like anandamide and 2AG. Your body responds to both these endocannabinoids and to plant-derived cannabinoids like CBD and THC. Unlike endocannabinoids, CBD does not bind directly to the ECS’s receptors. Instead, CBD acts as a reuptake inhibitor and an allosteric modulator. A reuptake inhibitor is a compound that stops the breakdown or re-entry of endocannabinoids into the cells. As a reuptake inhibitor, CBD can maintain high concentrations of molecules that aid in mood, inflammation and pain. For example, CBD stops the anandamide from entering the cells. Typically, anandamide is quickly broken down by FAAH (fatty acid amide hydrolase) within the cells, but because of CBD there is more anandamide in the synapses which decreases pain and enhances mood. An allosteric modulator is something that changes the shape of a receptor in order to make that receptor send a different signal to the nerves. For instance, CBD reduces anxiety by changing the shape of the GABA-A receptor which enhances the natural calming effect of GABA. CBD is non-addictive and has few side effects, according to the World Health Organization, which has recommended lifting restrictions on the drug. Analysts predict the industry will balloon to $16 billion by 2025. In comparison, CBD sales totaled less than $1 billion last year, though that’s no small feat for a field that didn’t exist a few years ago. The FDA: "We support sound, scientifically-based research using components derived from marijuana, and we’ll continue to work with product developers who are interested in bringing safe, effective, and quality products to market." Extracting CBD from the cannabis plant requires expertise and time and testing. If the product you are buying makes exaggerated claims or does not label their product with the percentage of CBD, don't buy it. In the states where cannabis-derived CBD products have been permitted, including Washington, California, Illinois, Connecticut, and New York, the packaging for all CBD products must list CBD as an active ingredient with the amount of CBD that the product contains. So what do I look for on the label? Knowing where your extract comes from is crucial. It’s important to know the source. It’s not enough for the label to say you’re getting CBD or hemp extract. Some could be processed so intensely that the phytonutrients are stripped away and you’re left with a CBD isolate that’s just a white powder, which is missing all the potent cannabinoids. Quality CBD uses a pure extraction method where you’re left with a brownish oil. It’s key to look at this when purchasing, so that you’re getting something effective. Look for whole plant extract on the packaging to confirm what you’re using isn’t simply capitalizing on the buzz around the ingredient. Also look at all of the other ingredients to make sure there are none of the toxic "dirty dozen"
Beauty Care Choices sells four CBD brands you can rely on: El Patron, Well, CBD Daily and Talyoni. A new week and more new brands and products. It's Beauty Care Choices doing their best to keep bringing you the very best and most trending beauty products. Maria Nila is not the usual hair care company. Their 100% vegan and cruelty free-certified products are developed with love for our animal lovers, our nature and your hair. Animals fill our lives with joy and laughter, and should therefore never be part of a beauty product. By providing high quality vegan products, they make it easy for you to take a step towards a sustainable and friendlier world. When choosing Maria Nila, you choose animal-friendly and colour-preserving haircare products manufactured locally in Sweden. Their chemists always develop Maria Nila's products with the highest quality ingredients. The content should be nice to hair, animals and nature. In order to make you feel safe, they are also certified by three independent organizations, PETA, Leaping Bunny and The Vegan Society. They also climate compensate the packaging of all products. Every time you buy a Maria Nila product, you contribute to the planting of new trees in South America. Through the planting of trees, we contribute together to a better world! Seb Man by Sebastian - A new line of hair care, styling and grooming products for men who refuse to be categorized. They enable men to express all versions of themselves, in the most hassle-free way. The Seb Man styling & grooming products boast convenience & simplicity. The Multi-Tasker, a 3-in-1 hair beard and body wash is suitable for all hair types. Other products include The Dandy - a pomade for light hold & shiny polished finish, The Player - a medium hold gel, The Fixer - a reworkable hairspray & more. Each has a masculine scent of peppercorn, balanced with the freshness of bergamot and the warmth of amber. The result is a woody oriental spicy fragrance, masculine that stands out for modern men. Give your curls the ultimate glow with this multi-benefit hair oil. A lightweight, silicone-free oil that is made with an exclusive blend of five curl-loving oils to provide shine, moisture and curl enhancement. Seals and improves the appearance of split ends for a frizz-free, smooth finish! Rich in vitamin A and will not leave behind a heavy residue. Curls bounce, shine, and behave with DevaCurl No-Poo and DevaCurl One Condition. Depart from the ordinary with our botanically drenched, 100% sulfate free hair care system. Deva removed the harsh, dehydrating detergents that create lather and infused natural cleansing ingredients.